A beautiful dark elm wood dining table with black hairpin legs, perfect for seating 6 people comfortably or 8 if you don’t mind a cosy dinner setting! 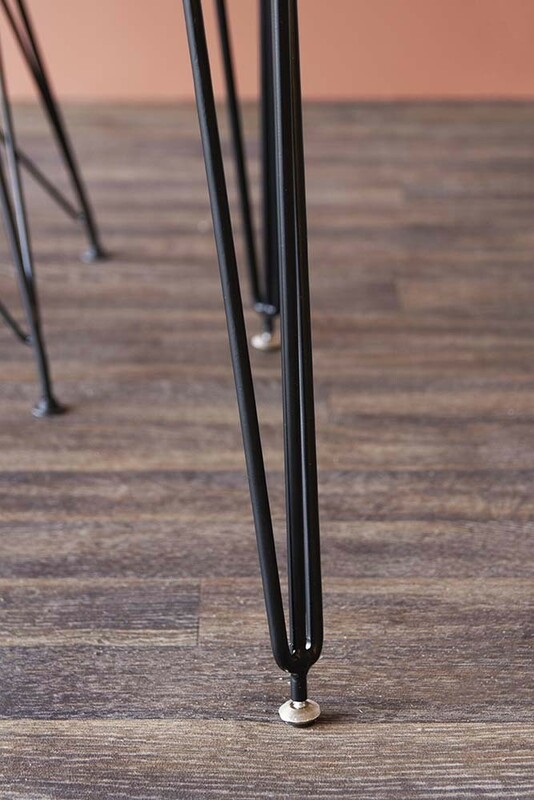 The Beautiful Elm Wood Dining Table With Hairpin Legs measures W160cm x D80cm x H76cm and is constructed with an Elm solid wood table top (which measures 2.5cm thick) and black painted steel frame table legs. Dining tables are really wonderful for gathering your loved ones together and in a busy age with plenty of distractions we think that it’s really important to have a dedicated space in your home to get everyone together. A beautiful dining space is perfect for this goal. Even if you decide not to dedicate an entire room to dining, you could zone out a space in your home where you and your family can gather to eat, drink and enjoy each other’s company. The really beautiful Elm Wood Dining Table With Hairpin Legs will encourage your friends and family to spend more time in this social space and is incredibly stylish and striking too. Which is exactly why we think you will love it! 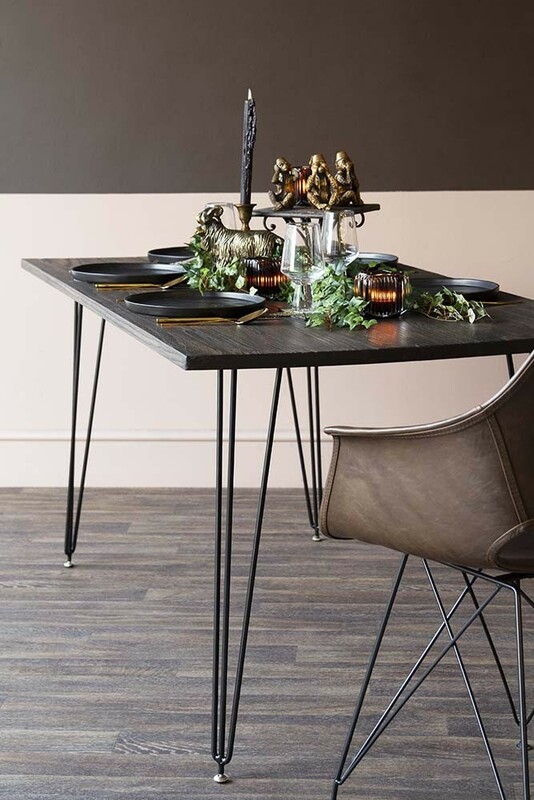 Furniture of grand beauty, the Elm Wood Dining Table With Black Hairpin Legs looks fantastic on it’s own, but we think that such a brilliant piece deserves to be styled and dressed to the max! No.1. Odd Numbers. It’s a well-established Interior Design Trick that homewares and display pieces look better in odd numbers. So, if you’re styling candlesticks or vases in the centre of your table make sure you bunch them together in threes or fives for maximum impact. No.2. Height. Create layers of interest with objects, display pieces and plants of different heights. It’s a super simple trick that does wonders for your dining table display. No.3. Texture. If you really want to create a feast for the eyes then create variety with your textures. Ribbed vases, leafy plants, rattan ceiling lights suspended above the table. 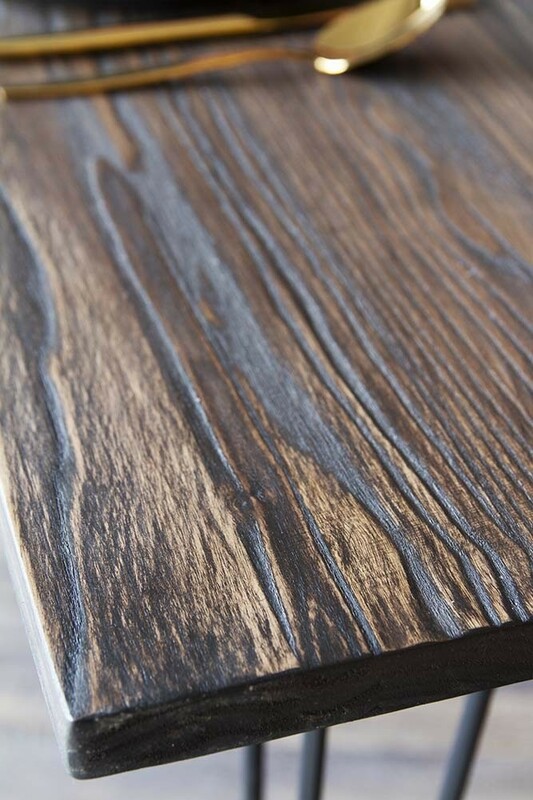 The more texture you can incorporate, the better! 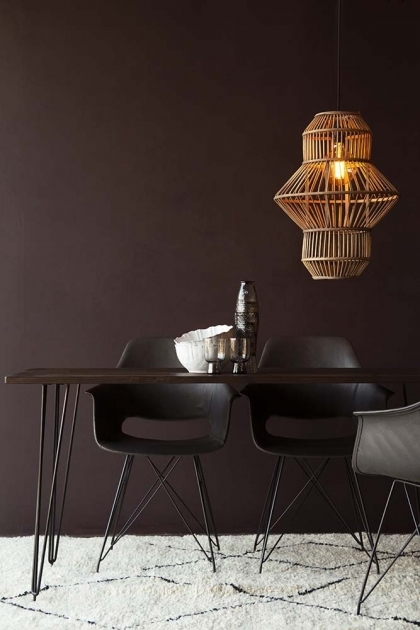 A stunning Dinner Table that your whole family will love, why not complete the look with our stylish seating choices? We have a range of timeless faux leather dining chairs and some elegant colourful velvet dining chairs that would look great around your new dining table. Head to the Furniture Department to discover more.